Cookies are always fun to make. You can pretty much create any type of cookie to your taste. My kids love oatmeal raisin cookies but instead of making those I went ahead and did something different. If you haven’t tried adding different fruits to your cookies this cookie will definitely change your mind. The raspberry flavor really comes through in it. Enjoy with a nice glass of milk or coffee. In mixing bowl beat butter for about 30 seconds. Next add sugar, baking powder, baking soda, salt and cinnamon. Beat until well combined. Remember to scrape the sides of the bowl. Now beat in one egg at a time and vanilla. Beat in 1/2 cup of flour at a time. If it gets too rough stir the rest of the flour in. Stir in the oats and raspberries. Take a tablespoon or a small ice cream scoop. Drop the dough on to parchment paper about 2 inches apart. Flatten them down a bit. Bake them for 10 to 12 minutes or until edges are light brown. Cool and enjoy. 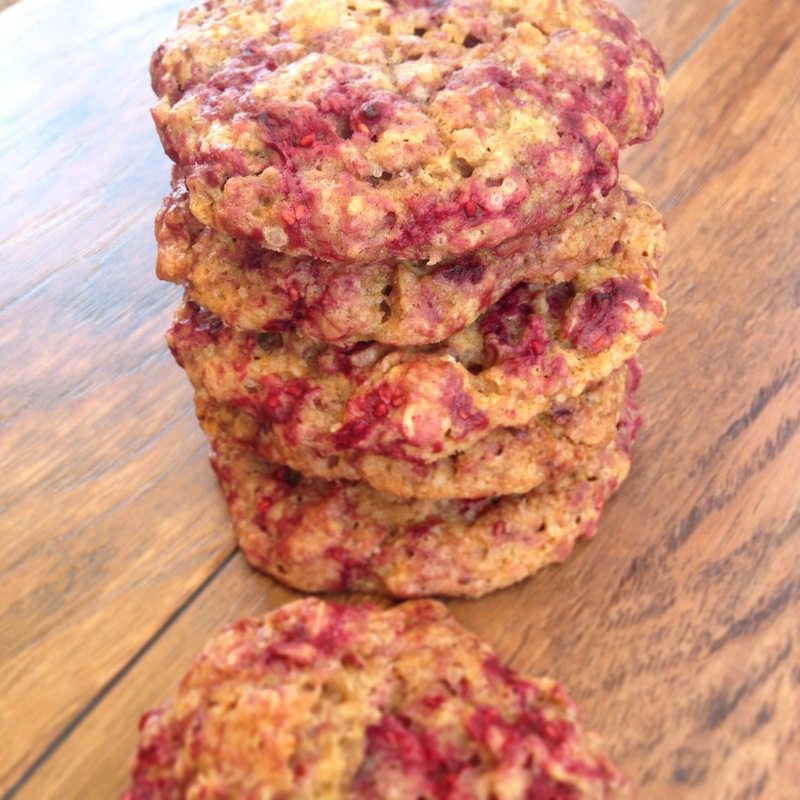 as a oatmeal AND raspberry fan, i am soooo trying this!